A recent best-selling book opens with the terse statement, “Life is difficult.” None of us has to be persuaded that that statement is true. We simply want to know how to deal with those difficulties. Three truths from Scripture help me. The first truth is the sovereignty of God. 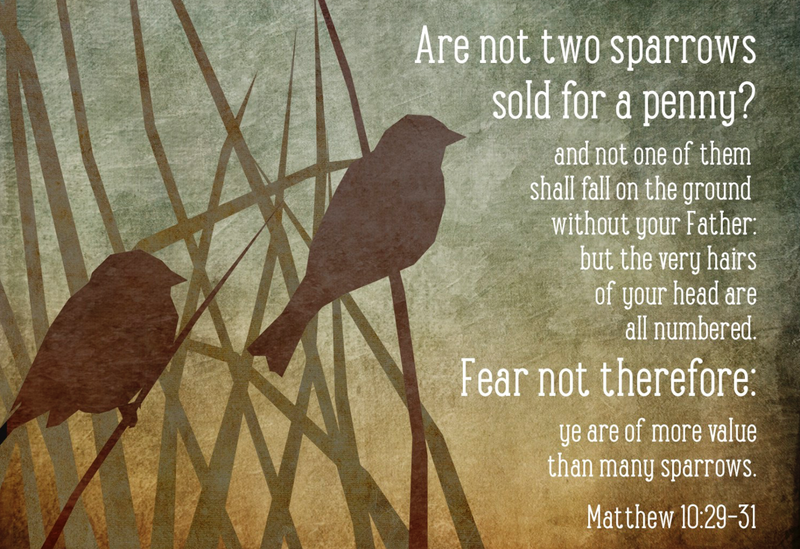 Jesus said, “Are not two sparrows sold for a penny? Yet not one of them will fall to the ground apart from the will of your Father.” God is sovereign over the sparrows; nothing can happen to one of them outside of His control. And if God is in control of the sparrows, He surely is in control of all the circumstances, both good and bad, of your life. So Jesus says, “Don’t be afraid; you are worth more than many sparrows” (Matthew 10:29–31). The second truth is the love of God. In Luke’s version of the sparrows, Jesus says, “Yet not one of [those sparrows] is forgotten by God” (Luke 12:6). Once when I was visiting my brother in his office, he suddenly looked up with horror. He had agreed to pick up his five-year-old son at kindergarten and he had forgotten. I vividly remember how we raced to the school to pick up a frightened and tearful little boy. Even the most caring parents can get absorbed in something and momentarily forget their child. But God never forgets—not even a virtually worthless sparrow. Certainly, He doesn’t forget you. Jesus’ statement that “Indeed the very hairs of your head are all numbered,” has nothing to do with a giant heavenly adding machine. Rather, Jesus is telling us that the most minute details of our lives are under the sovereign control and loving care of our heavenly Father. The third truth is the wisdom of God. Paul assures us that “in all things God works for the good of those who love Him” (Romans 8:28). All things include the bad things as well as the good. But how can God cause the bad things of life to work out for our good? Because He is infinite in wisdom He knows how to blend the bad and the good together to accomplish His purpose. This is the way I seek to deal with difficulties. I remind myself that God is in control of the difficulty, that He loves me, and that in His infinite wisdom, He knows what is best for me. I can trust even though I don’t understand what He is doing or why.